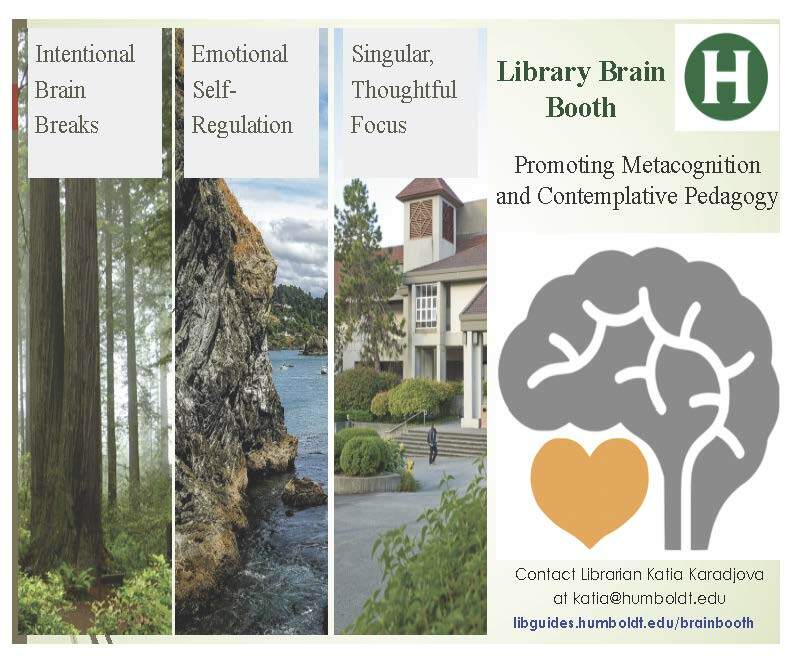 The Library Brain Booth is an informal, experiential space to learn about the mind body connection and optimize learning. 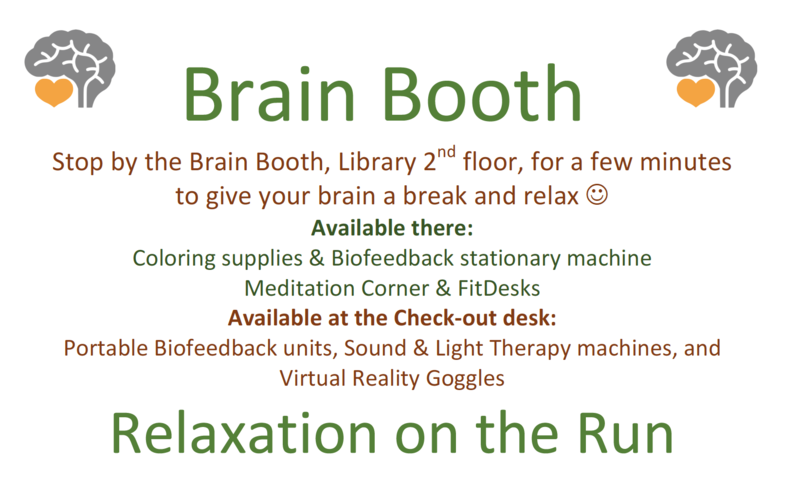 Wellcome to the Brain Booth! 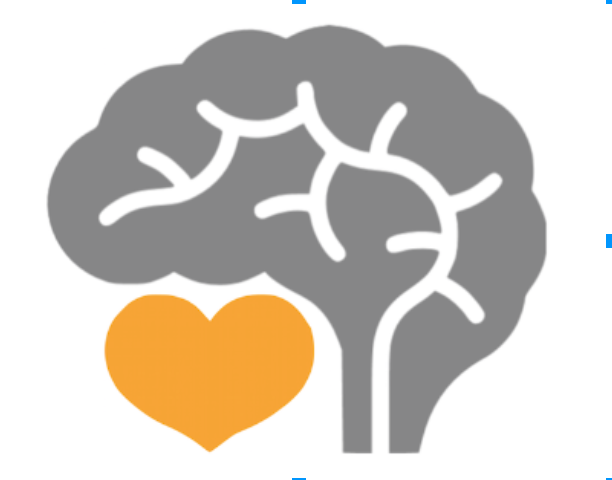 What's Available Outside the Brain Booth Space? 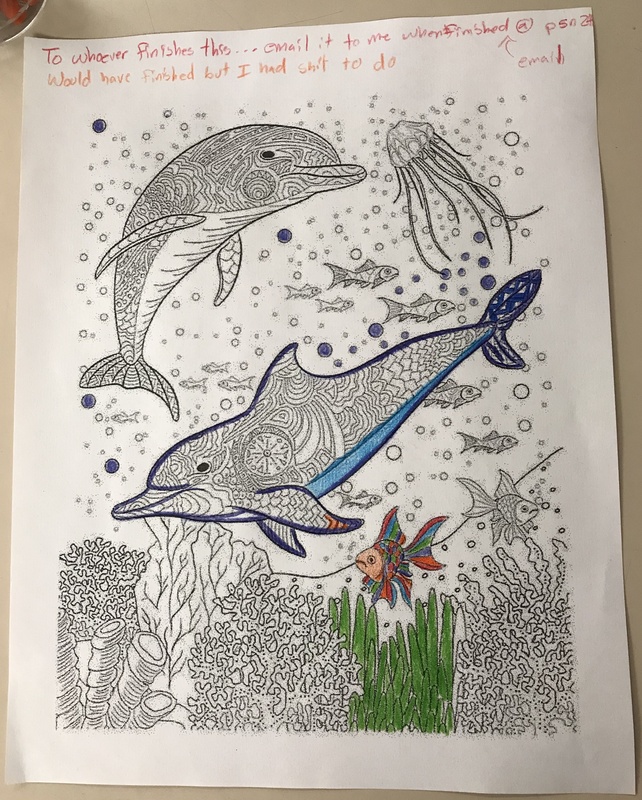 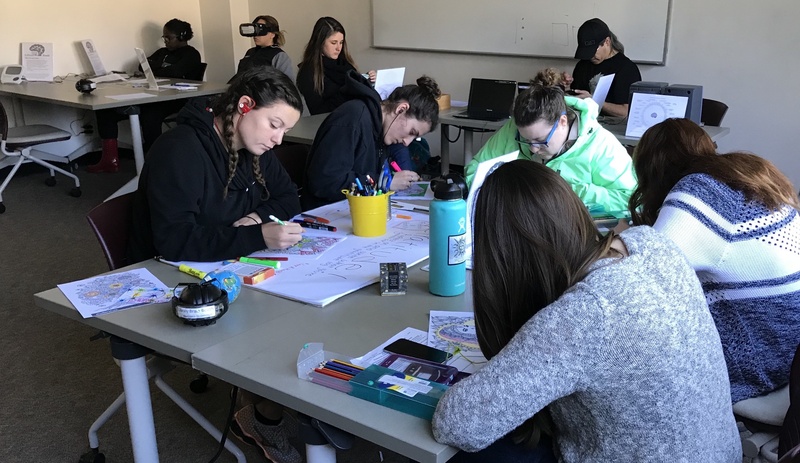 Try out biofeedback, sound and light therapy, VR goggles, coloring, meditation, and other activities that promote intentional brain breaks and support emotional self-regulation and singular thoughtful focus. 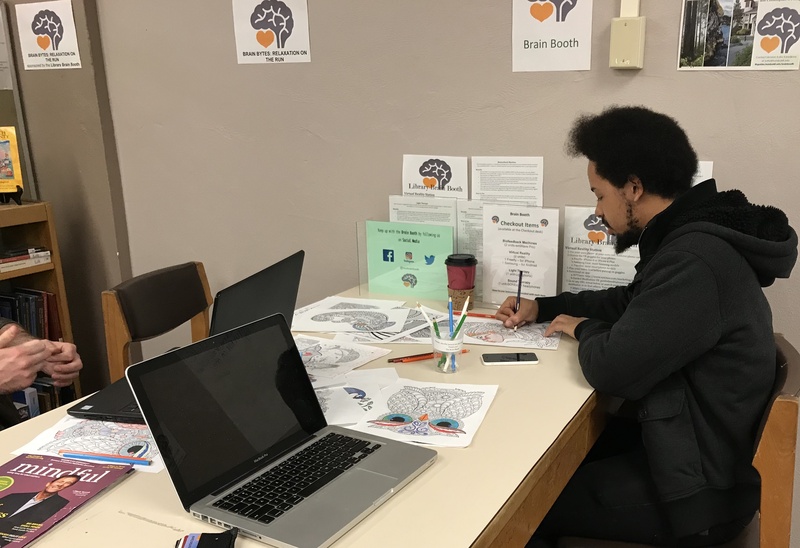 Some of the content of this guide (as indicated on pages) was created by Marissa Mourer, co-founder of the Brain Booth, who left HSU in August 2017.